Julianne Hough Makes Slouchy Pants Look Cool in 3 Ridiculously Easy Steps! 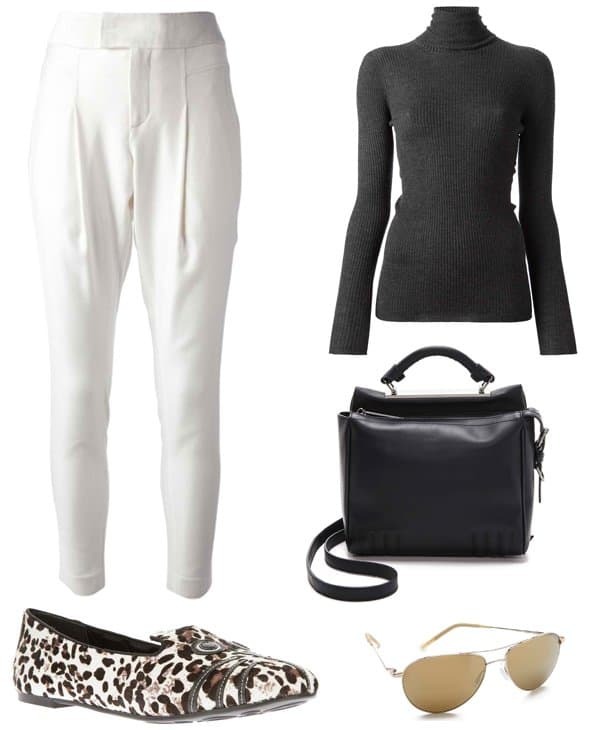 Normally, slouchy pants that look more like sweatpants would make us cringe. The just-rolled-out-of-bed-in-my-sweatpants look just doesn’t fit everyone. But occasionally, the frumpy vibe of the slouchy pants manages to impress us. The 25-year-old singer and actress went out for lunch wearing a slouchy, almost harem-like, pair of pants from Helmut Lang with an asymmetrical crotch. But rather than repel us, her outfit made us think she really has a keen eye for fashion. She made it look stylish and cool in three steps! Step 1: She wore a fitted sweater to balance out the slouchiness of the pants. A baggy top plus a baggy pair of pants can easily equate to ugly frumpy style. That’s a definite no-no. But to make it work, chuck the baggy top and replace it with something more fitted for a more figure-flattering silhouette. Step 2: She wore a pair of animal-printed flats. Fuss-free flats are the key to giving the pants a cool vibe. 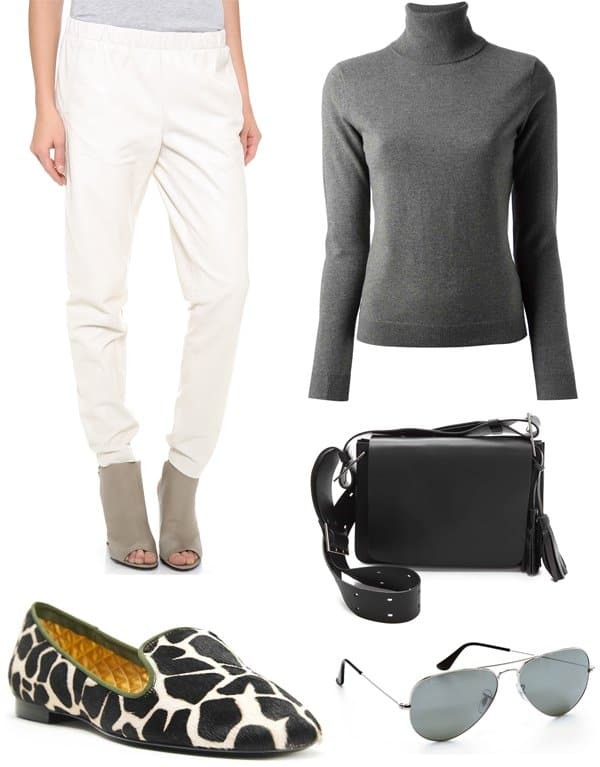 The animalistic print also breaks off the monotony of the solid-colored pieces in the outfit. Step 3: She punctuated the look with a pair of mirrored sunglasses. We reckon any large-framed pair of sunnies will work, but the mirrored ones seem to amp up the style meter of this look. How easy was that? Anyone can try the singer’s look and pull it off quite stupendously. In fact, we insist you copy this look the next time you go out and have a nice lunch out with your friends. Below are some coordinates to get you started. What do you think, ladies? Care to try Julianne Hough’s ensemble?